Late last month feminists celebrated a victory, after convincing Formula 1 racing to get rid of its gird girls. Now the women who lost their jobs are slamming the feminists for their unwanted interference. At the end of January, Formula 1 announced that it had decided to end its use of the pretty models who interact with the crowd and carry the names of sponsors on their clothing. The grid girls will be gone commencing with the new season which starts at the end of March. 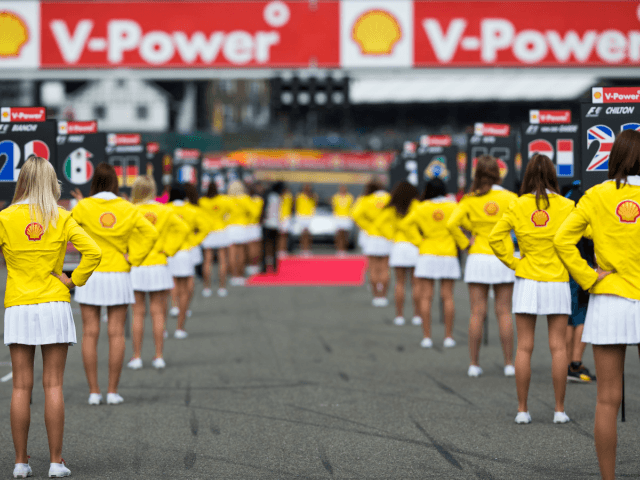 “While the practice of employing grid girls has been a staple of Formula 1 grands prix for decades, we feel this custom does not resonate with our brand values and clearly is at odds with modern day societal norms,” said managing director of commercial operations Sean Bratches. “We don’t believe the practice is appropriate or relevant to Formula 1 and its fans, old and new, across the world,” Bratches added. But now the women who have just lost their jobs are slamming the decision and the interference of the feminists who lobbied the sport to fire the girls. Cooper also implied that grid girls have been misrepresented and put together a photograph collage to highlight that women who work in her trade are not “scantily clad furniture” and that the outfits are more modest. One of the groups that agitated to force the firing of the girls was Britain’s Women’s Sport Trust. The group has been trying to get several British sports leagues to end the use of models during events. Several days ago the group celebrated victory when both the British Professional Dart Corporation and Formula 1 acquiesced to dumping the models. Several models that lost their job took to social media to criticize those who got them fired.